Overall excellent care and genuine friendly atmosphere. Dr. Eck and the whole staff have been very professional and have responded with prompt attention worsens. Have not been to a better doctors office. Love that I don't wait long. The doctor (Eck) and staff (Amy and Andrea) are outstanding. Professional and courteous. I would highly recommend them to new patients. Doctor explains procedure so you understand exactly what to expect and what will be done and how implant works and the difference between them. Follow up call to patient very nice. I was very pleased with care, attention and professional served from technician, Amy. 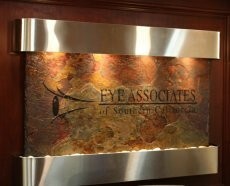 Receptionist Andrea, and both Dr. Saini and Dr. Cason’s changes and examinations. Overall very good experience. More than satisfied with care, follow through and information also, excellent reseptionist and nurse staff. Very professional doctor. Excellent help in comprehending eye condition and treatment required. Best doctor and staff experience I've had. Review for Dr. Andrew Doan by patient Ray after surgery in both eyes.